Poetry is Not A Muscle. 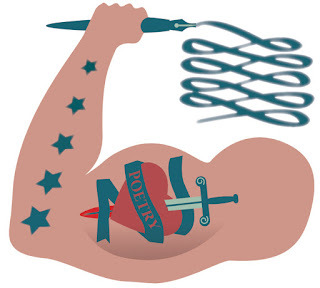 Some claim poetry is a muscle that should be exercised on a daily basis. Some poets write every single day of their life. Even my poetry guru does. As much as I admire poets who can achieve this goal, I know it is something that does not work for me and it never will. Inspiration is the key to writing poetry for me. Something must turn me on. When that happens poetry flows and there is no stopping it.